Sankta Lucia – the Feast of St. Lucia (“Lucy”), whose name means “Light” – is an ancient tradition in Sweden and other Scandinavian countries (although the Christian figure of St. Lucia originated in Sicily, interestingly enough). Her feast-day falls on the 13th of December, which in the Old (Julian) Calendar, would have been the Winter Solstice. Although she is a Christian saint, with a Christian story, “Sankta Lucia” can also be translated “Holy Light,” and the folksy, homey rituals surrounding St. Lucia’s Day – in which the girl or young woman chosen to portray St. Lucia for that year, wearing a crown of candles, brings gifts of steaming-hot coffee and sweet rolls to her family (or village), while her attendants sing traditional songs – is a beautiful and moving enactment of the rebirth of light in the midst of the darkest time of the year. “Lucia is a tradition in Sweden where we bring light to the darkness. Since many years back I have always gone out in the middle of the Lucia night to light up hundreds of candles in the forest, with the intention to spread light into the world. “Maybe you have seen my earlier lucia-films here on my YouTube. But this year was special. Just as the other lucia-nights I prepared to get out and light up my candles. But this night, the forest surprised me. Do yourself a favour, and watch this in full-screen… and allow yourself to get lost in it. Magical! Gränsfors Forest Axes are made to be used in the forest for everything from felling large trees to limbing small logs. “Throughout history, the axe has helped us source wood for our fires, build our houses and protect ourselves against enemies, and that’s just scratching the surface. For much of human history, the axe has meant the difference between life and death. I am appalled at what is going on in Sweden, but I am not sure they need outside help as much as they need to re-embrace their Viking spirit and heritage. Mr. Engellau may be right that this is the end for the “decent and egalitarian Sweden we have known up to now,” but that may not be a bad thing. There is such a thing as being too decent and egalitarian, and Sweden is reaping the bitter fruit of that fact, currently! I have some (albeit not much) Swedish blood, too, so I have some skin in this game. 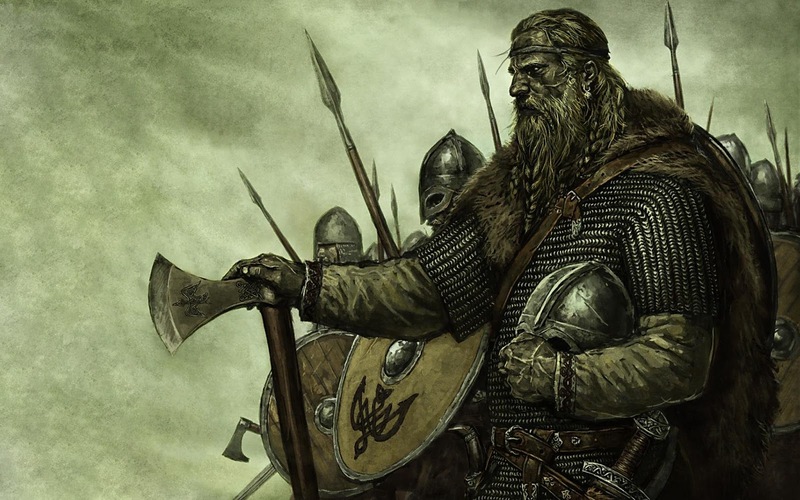 These are among my ancestors, and they are the descendants of those who became the Kievan Rus, founding both Russia and Ukraine, and who formed the core of the Varangian Guard. How would those ancestors like what is happening now – and what would they suggest that today’s Swedes do about it? I don’t know, but I can imagine! Sweden may indeed need some external assistance to regain control in the short-term. But if they do not wake up and re-Viking-ize themselves, and soon, I’m not sure any amount of outside assistance will do much good, long-term. Sweden needs to become Sweden once again! But that could be said about much of Europe, currently. The Stockholm truck-ramming terrorist was a failed asylum seeker? Okay, everyone who’s surprised, raise your hands! *looking around* No one? That’s what I thought. On the one hand, I’m encouraged to read report of the PM’s remarks. I hope that late is better than never, and I know that some people require a two-by-four across the forehead before they wake up to threats that are right in their face. Yet, I’m afraid this smacks a bit of locking the proverbial barn door after the horse has already been stolen. ‘Sweden will never go back to the [mass migration] we had in autumn 2015, never,’ Mr Löfven said yesterday. ‘Everyone who has been denied a permit should return home. A beautiful meditation on the meaning and significance of Luciamorgon (the morning of St. Lucia’s Day) in the life of this Swedish photographer, artist, and blogger. The picture above is a still from the stunning video that accompanies it. The Google machine translation of the page is imperfect, of course, but it’s good enough to get the gist of this lovely post!